I hope everyone enjoyed their Christmas as much as we did! It's now time to think about New Years, and with that comes New Years Eve food! We've rounded up 10 New Years Eve food ideas to inspire you for whatever party you might be throwing or attending, even if it's just you and the kids cuddled up on the couch watching the ball drop. Tiffany here from Making the World Cuter hosting today. January is a great month in our house, with mine, my daughter and my husband's birthdays all within 10 days of one another. So after all these holiday parties, we just get to keep partying into the new year! Excited for what 2016 brings, and lots of fun posts coming up on Making the World Cuter! 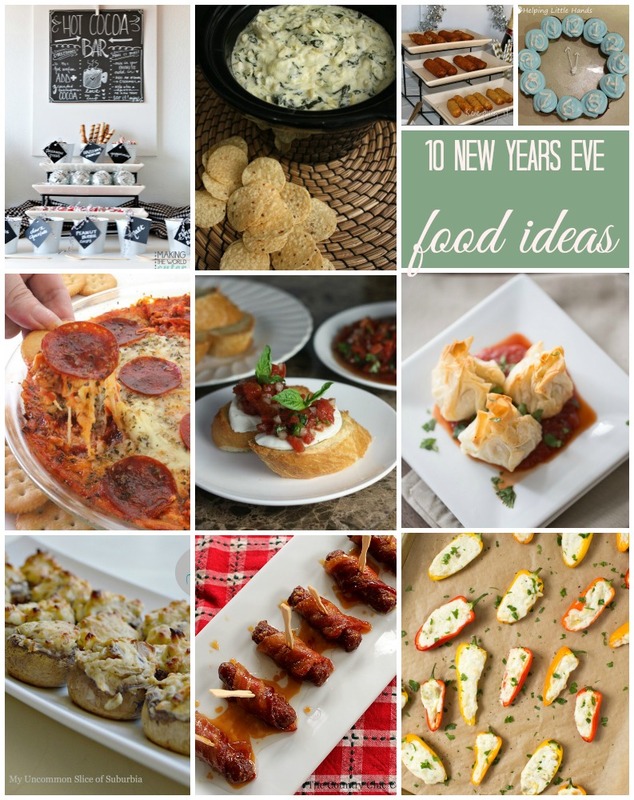 We’d love it if you pinned the 10 New Years Eve Food Ideas!